Illinois governor Pat Quinn abolished the death penalty today. “It’s not possible to create a perfect, mistake-free death penalty system,” Quinn declared. More than a decade ago the state issued a moratorium on executions after wrongly condemning thirteen men. Quinn, who spent two months speaking with prosecutors, victims’ families, death penalty opponents, and religious leaders, also commuted the sentences of all fifteen state inmates on death row. They will now serve life in prison. Quinn called it the “most difficult decision” he has made as governor, saying, “I think if you abolish the death penalty in Illinois, we should abolish it for everyone.” Illinois is the fifteenth state to have abolished capital punishment. With Quinn’s decision, anti-death penalty advocates hope to create “a national wave” of opposition. But in New Mexico, which became the most recent state to abolish the death penalty, in 2009, Republican governor Governor Susana Martinez is trying to reinstate it. Three other states, New Jersey, New Mexico and New York, have already banned capital punishment, and it is rarely enforced in Western democracies. Quinn noted that he was lobbied to sign the ban during calls from death penalty foes Desmond Tutu, Martin Sheen, Sister Helen Prejean and pleas from those who wanted Illinois to keep the death penalty on the books, including the families of victims and state’s attorneys from around the state. I asked Quinn if he was convinced Illinois–with its record of putting wrongly convicted people on Death Row, which led to the current moratorium—won’t make mistakes again. Gov. Pat Quinn’s decision to abolish the death penalty in Illinois is commonly viewed as a triumph for progressives. But some of the most persuasive arguments for doing away with capital punishment basically reflect conservative views. The last decade has seen many noted conservatives, including George Will, Richard Viguerie and L. Brent Bozell III, emerge as death penalty opponents. One reason that abolition became a political possibility here was not simply because it attracted Republican votes in the Illinois House and the Senate, but because many conservatives have grown more ambivalent about the issue and less fierce in their opposition. Here are some of the leading conservative arguments for ending executions. The death penalty is one more government program that’s failed. This oft-quoted observation is an elaboration on comments and more than a clever turn of phrase by former Illinoisan George Will, perhaps the nation’s leading conservative columnist. Illinois reinstituted capital punishment in 1977, after the U.S. Supreme Court struck down all prior statutory schemes as unconstitutionally arbitrary and capricious. We have now conducted a 33-year experiment in seeing whether death sentences can be meted out in a rational, proportionate fashion. That experiment has clearly failed. I was a member of the 14-person Commission on Capital Punishment appointed by then-Gov. George Ryan in 2000 to study the death penalty. I started out ambivalent, because I knew there will always be certain murders and killers that cry out for this ultimate form of retribution. But after two years I came to realize that we will never construct a capital system that functions with anything resembling fairness. 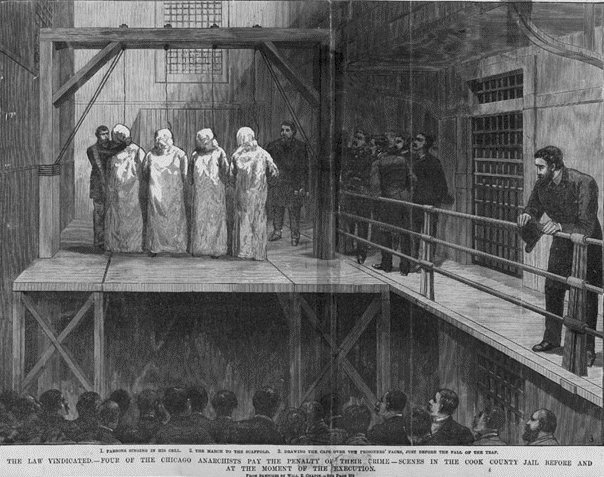 Despite decades of legislation and litigation aimed at establishing procedural bulwarks, the imposition of the death penalty in Illinois remained haphazard. Studies authorized by the commission found that, in Illinois, defendants were five times more likely to be sentenced to death if they committed their crimes in rural areas, as opposed to cities; twice as likely to be sentenced to death if they killed a woman; and 21/2 times more likely to be capitally sentenced for the murder of a white person, as compared with an African-American. False conviction issues aren’t just limited to Illinois. The Innocence Project has been involved in nearly 300 post-conviction exonerations based on DNA evidence, including nearly two dozen cases where a convict was sitting on death row at the time of his conviction. Moreover, there’s at least one case on record where it now seems fairly apparent that the State of Texas executed a man for a crime that he didn’t commit. There was a time when I was a supporter, albeit a reluctant one, of capital punishment, but that time has come to an end. For one thing, I’ve come to the general conclusion that the state should not have the power to take anyone’s life, even when they’ve committed a violent and horrible crime. Additionally, ever since the advent of DNA evidence, we’ve seen far too many instances of innocent men imprisoned for crimes that they clearly did not commit to think that it hasn’t happened in a capital punishment case. Finally, my own professional interaction with the criminal justice system on a regular basis made it clear to me fairly early on that the system was far too imperfect to trust it with the power of life and death, and this is especially true when a defendant facing a death sentence is forced to accept court-appointed counsel that lacks both the experience and the resources that a private-hired attorney would. The question of whether you live or die shouldn’t depend on whether or not you’re rich enough to hire a good lawyer, but, far too often, it does. Illinois has taken the right step here. Let’s hope that more states follow their lead.